I am directed to refer to your letter No. 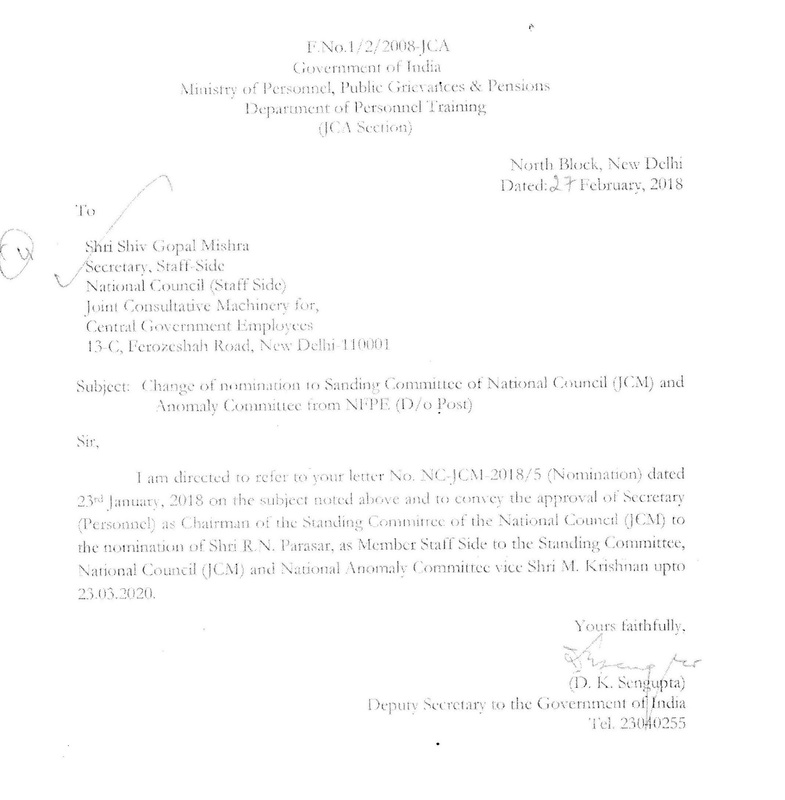 NC-JCM-2018/5 (Nomination) dated 23rd January, 2018 on the subject cited above and to convey the approval of Secretary (Personnel), as Chairman of the Standing Committee of the National Council (JCM) to the nomination of Shri R.N. Parashar, as Member Staff Side to the Standing Committee, National Council (JCM) and National Anomaly Committee vice Shri M. Krishnan upto 23.03.2020.